American Llewelyns on Point cross stitch pattern... 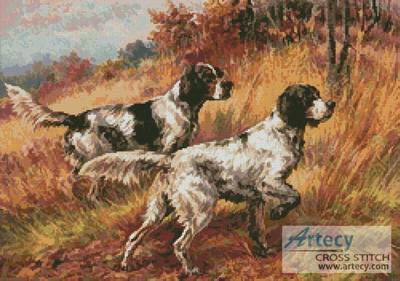 This counted cross stitch pattern of American Lleweyn dogs was created from a painting by Edmond H Osthaus, image courtesy of www.the-athenaeum.org. Only full cross stitches are used in this pattern.